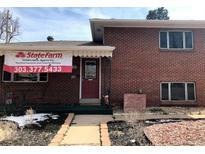 Below you can view all the homes for sale in the Potter Highlands subdivision located in Denver Colorado. Listings in Potter Highlands are updated daily from data we receive from the Denver multiple listing service. To learn more about any of these homes or to receive custom notifications when a new property is listed for sale in Potter Highlands, give us a call at 720-729-2320. Downtown Is 10 Minutes Away And Easy Access To I-25. MLS#6902923. STREETSIDE PROPERTIES. A two-car attached garage and professional landscaping complete this chic new home! MLS#4068218. LIV Sotheby's International Realty. Currently used as insurance office. High visibility from 38th. MLS#6326541. Kim Irving & Associates. This very special community of Potter Highlands is waiting for you. MLS#8067209. BANYAN REAL ESTATE LLC. Live in one of Denver’s most walkable neighborhoods, close to everything that Highlands has to offer! MLS#9138439. LIV Sotheby's International Realty. No Hoa! Short Term Rentals Are Allowed! MLS#4436215. Bow Select Properties. bsmt is perfect for storage/expansion&attached 2 car garage fits today’s vehicles. A+ location in Potters! MLS#3122021. RE/MAX PROFESSIONALS. Minutes to Highlands, Sloans Lake, Jefferson Park, LoHi, Downtown and Coors Field Ball Park neighborhoods with a wonderful eclectic mix of eateries, shops and galleries. New interior paint. MLS#9752682. MID STATES REALTY.